The Rider and the Archer. 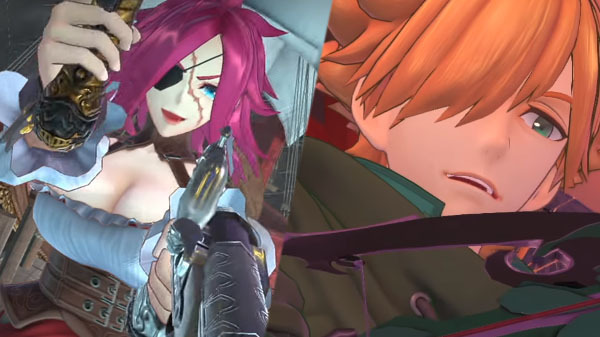 The latest character-focused short gameplay videos of Fate/Extella Link feature playable Servants Francis Drake and Robin Hood. Previous gameplay videos showcased Astolfo, Scathach, Charlemagne, Karna, Iskandar, Archimedes, Altera, Medusa, Artoria Pendragon, Lu Bu Fengxian, Cu Chulainn, Jeanne d’Arc, Gilgamesh, Gawain, Tamamo no Mae, Elizabeth Bathory, Li Shuwen, Nero Claudius, and Nameless.